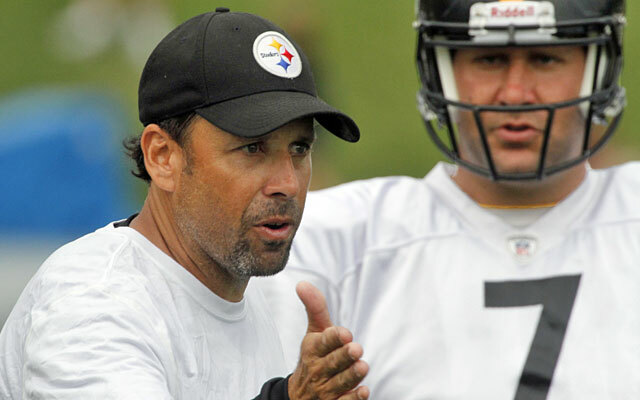 TODD HALEY: Key to Steelers Victory | "IT'S A STEELERS WORLD"! Here is the opportunity for him to wipe that bitter taste out of his mouth. The opportunity to prove that he deserves to be a part of the Pittsburgh Steelers organization, as far as us the fans are concerned. This Sunday offensive coordinator, Todd Haley will be the key in the week 16 matchup between his former team the Kansas City Chiefs. A team that the Steelers have controlled the series record over the past 44 years. It’s a lot more fun for quarterback Ben Roethlisberger, who is enjoying a career year in Haley’s fast paced, high flying offense. “We’ve got a great group of guys who believe in each other and believe in the system,” Roethlisberger said. “(Haley) wants to have a balanced offense, and we are that. We run it, we throw it, we do a little bit of play action, a little bit of screens … we do everything. Those words alone should take a lot of pressure off of Haley in the locker room, but he will still be under the microscope in the public’s eye as well as the media. It took Roethlisberger nearly three years to get completely comfortable with Haley, who joined the Steelers in 2012, the season after he was dismissed as Chiefs coach. Pittsburgh went 8-8 and missed the playoffs the last two seasons, and Steeler Nation was growing restless with Haley’s game plans and play-calling. “Anytime you have something new, there’s always going to be a feeling-out process, both with a person and a system and the man himself,” said Roethlisberger, who had some clashes early on with the tempestuous Haley. “So yeah, that first introduction, trying to figure things out, especially when you’ve been in one system for a long time. The Steelers have won two in a row and six of seven because of its top-ranked and balanced offense that either is first or second in six offensive categories. To the Steelers, balance means taking away one aspect of the game — like the Falcons did with the running game last week — won’t cripple their offense. In years past it would. Now, it’s just as simple as shifting gears.